If you live in Korea or Europe, you can follow the steps below to update your Samsung Galaxy S2. Note: Android 4.0.3 (ICS) without losing your data, but I recommend you backup your data (Contacts, Photos, SMS logs, ...) before updating your phone. Download the latest version of Samsung Kies from Samsung Apps, and then install it. It requires Windows XP(service pack2), Windows Vista or Windows 7. Connect your Samsung device to computer with the original USB Cable. 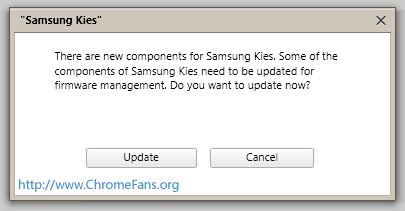 Launch Samsung Kies Application, and then click Update. 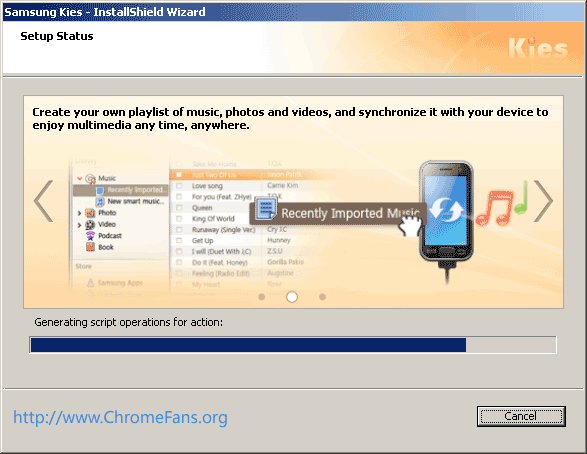 Download the latest version of Samsung Kies from Samsung Apps, and then install it. After installing, do not launch Samsung Kies. Enable USB Debugging: Click menu Settings > Applications > Development, check the option "USB Debugging". Download the official Android 4.0.3 (Ice-cream sandwich) (File size: 352 MB) and unpack it to your local folder, then launch Odin3 v1.83.exe from extracted files. If you are using Windows Vista or Windows 7, right click Odin3 v1.83.exe, and then click "Run as administrator". Connect your Samsung smartphone to computer with the original USB Cable. 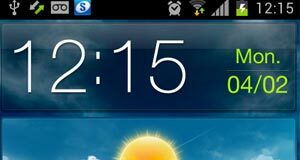 Turn off your device, and then enter into Download mode by pressing Volume-down key, Center button, and holding both simultaneously press the Power Button, and then press Volume-up key, it will show a green robot. You will see that the "ID: COM" section will turn Yellow. If the ID: COM section doesn’t turn Yellow, you should check the Samsung Kies driver and go to the path “Settings > Wireless & Network > USB Settings” and ensure that “Samsung KIES” option is ticked before connecting the smartphone to the computer. Check the options for "Auto reboot" and "F. Reset Time", and then click "PDA" button, choose the file GT-I9100_INU_I9100XXLPQ_I9100ODDLP7_I9100DDLP8.tar.md5. Click the Start button to start the process of firmware update. 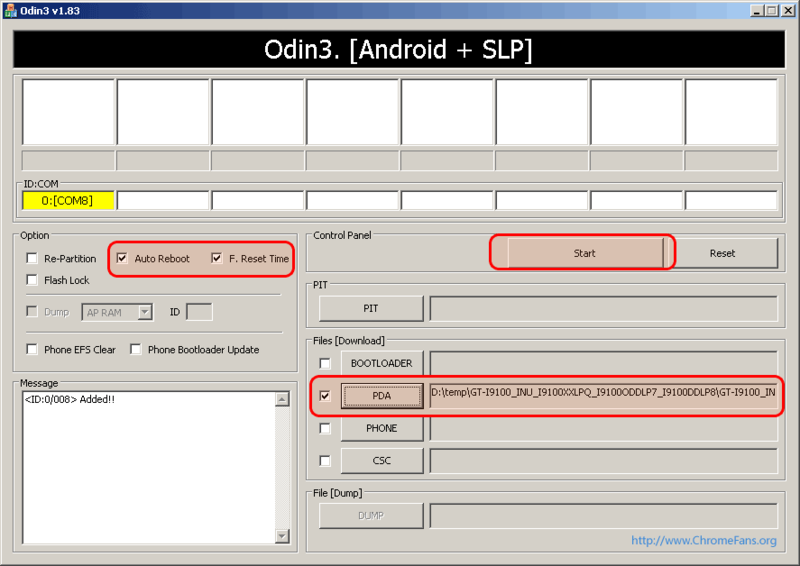 [Click for large preview] Screenshot: Launch Odin3 v1.83, start the process of firmware update of Samsung Galaxy S2. [OSM] Enter CS for MD5..
[OSM] Check MD5.. Do not unplug the cable..
[OSM] Checking MD5 finished Sucessfully..
[ID:0/008] Odin v.3 engine (ID:8)..
[ID:0/008] Get PIT for mapping.. Your device will auto restart after updating. Enjoy your device with Andorid 4.0.3 ICS now! How to disable the camera shutter and auto-focus sounds on your Samsung Galaxy S2 I9100? Great tutorial. 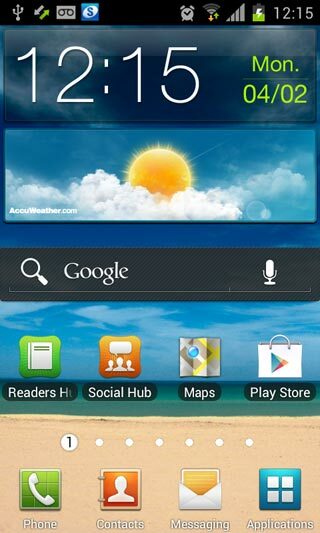 How to root on Android 4.03? will the unoffical method wipe my phone? I've got a question about method B, isn't method B like rooting? And do you lose all apps, photos, contacts, messages e.t.c.? Hi Thierry, Method B without losing your data, but I recommend you backup all before updating. I Did the above process with my galaxy s2 , it is updated successfully but it is not shutting down it is restarting by itself ???. Hello i tried to update to 4.0.3 with one of the first update that leaked out, but it was so unstable so i had to get 2.3.6 back again. Is this update better and stable, using the phone everyday in my work so i can't lose anything. Hello, I was wondering if I updated my 2.3.3 Galaxy S2 to different country's 4.0.3 official stock firmware, will this break the warranty? and would the yellow triangle appear forever? Thanks! Works it on Samsung Galaxy Gio too? It is not working with my S2. My current versionis 2.3.5. Sangsung calaxy s2 from korea but now i use it in cambodia can upgrade ice cream or not? If can how to upgrade ?